This book is the product of an assignment in our church to prepare new adults for the communion of the church. The classes were intended to introduce them to the basic sacraments of the church. However when it was entered into I got lost myself in a vast forest of new territory where anyone has seldom gone before and that alone. I was pleasantly surprised that the whole creation is an expression of God through which God communicated to the Sons of God. All communications need symbols. 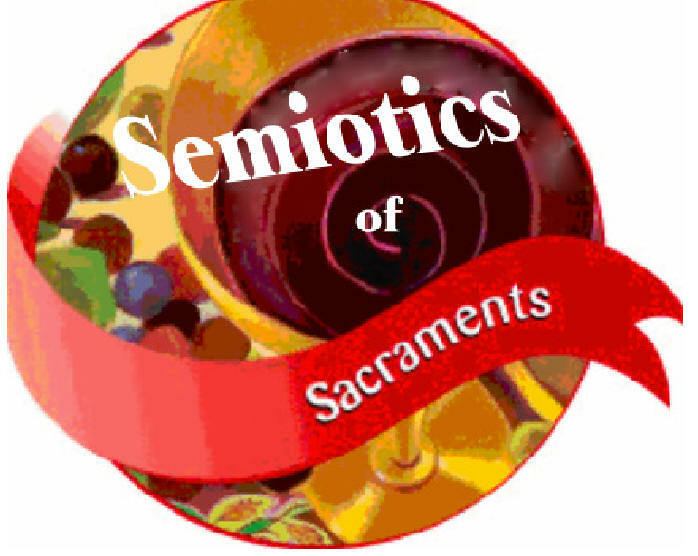 and Sacraments are the multisymbolic, multidimensional media of communication of God to explain his love, his healing, his plans of the redemptive process and the Kingdom to come. As long as we do not mistake the messenger and carriers with the message and the one who sent the message it will serve as the medium of communication for which it is intended. There is always the possibility of mistaking it and making the symbols into an idol. People have been worshipping the forces of nature and carved symbols for centuries mistaking them for the real God. If this starts new adventures and a better understanding of the world of semiotics in relation to Church and it role as Priests to the nations, this feeble preliminary attempt have served its purpose.